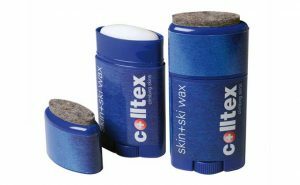 Taking proper care of your ski skins ensures that they will last a long time, and above all, ensure absolute safety. 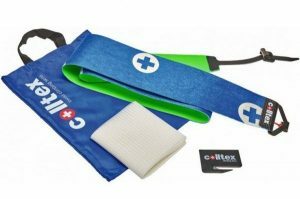 To do so, follow the tips below and Colltex has an entire range of products to maintain and extend the life of your ski skins. Never expose them to great heat. Keep them away from strong light and direct sunlight. UV rays damage the adhesive layer. Dry them in a dark place at room temperature without a protective netting and never in the skin tote bag – just like the orange skins in the attached image! Exclusively store dry ski skins in the skin tote bag. 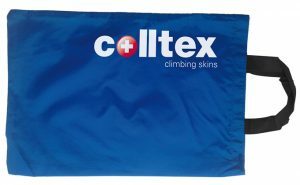 Never store wet ski skins in the skin tote bag. Use the appropriate product(s) to maintain your skins.